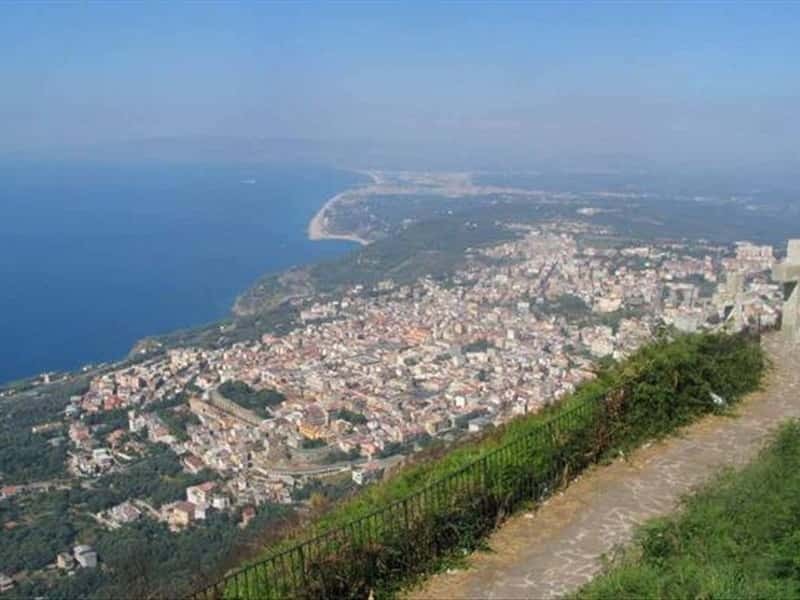 Palmi is one of the most populous municipalities in the province of Reggio Calabria, after the regional main city and faces onto the Tyrrhenian Sea. Local legends narrate that the bright violet waters of the sea in front of Palmi became so, when the beautiful Donna Canfora, dived into these waters, with her colorful tunic, to escape the kidnappers Saracens. The present appearance of this important commercial center is the result of an important reconstruction, after the earthquake of 1908, which follows closely the previous XIX century layout and in which survive traces of its ancient past. Palmi was founded after the destruction, in the IV century, of the nearby Magna Graecia town of Taureana. The name is already present in a document dated 1310. Destroyed during the barbarian incursion of the XVI century, it was completely rebuilt by Charles Spinelli, Duke of Seminara, of which Palmi was a district. The new town was a surrounded by a series of fortified walls, whose ruins are still visible, and defended by a series of watchtowers built along the coast. - the Cultural Center Leonida Repaci, which features inside the Municipa Library, the Museum of Ethnography and Folklore, an Exhibition of plaster casts, the Antiquarium (with finds of the Neolithic, Medieval and Byzantine periods) and Art Gallery (with important masterpieces by Guercino, Manet, Corot, Guttuso, De Chirico and Manzù). This town web page has been visited 21,679 times.